Our sophisticated design team has preselected all of the interior colors and upgrade options for this stunning home, so we are able to provide you with the peace of mind of a full sales price, and no hidden costs. 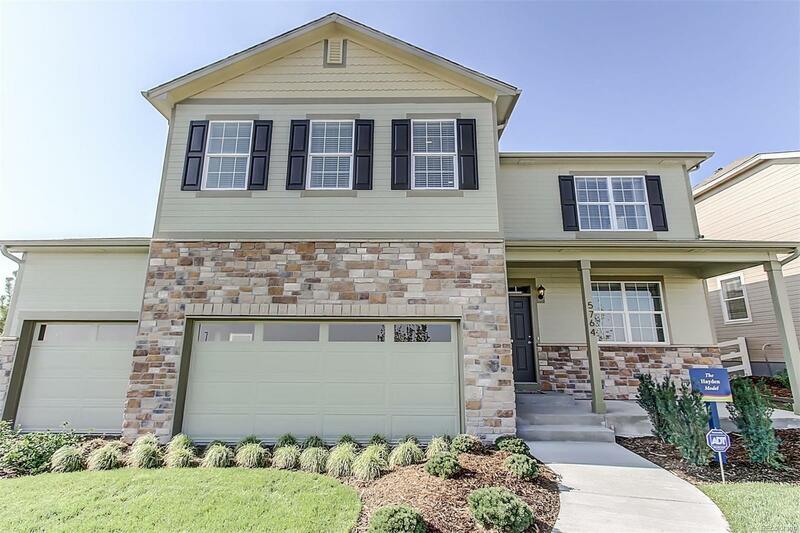 Modern charcoal colored cabinetry, granite countertops in the kitchen, hardwood, landscaping, fencing, window blinds, smart home features and 3 car garage are all included. In addition, this home has a bedroom and full bath on the main level, which is great for guests or multi-generational living and this home also provides southern sun expose on the driveway! This home has never been lived in, has 1, 2 and 10 year warranties, and is ready for a quick closing. It won't last long, so call today to schedule your personal tour, before it's too late. Make sure to check out our awesome Google Reviews for DR Horton at Crystal Valley. Photos are representative - not of actual home.